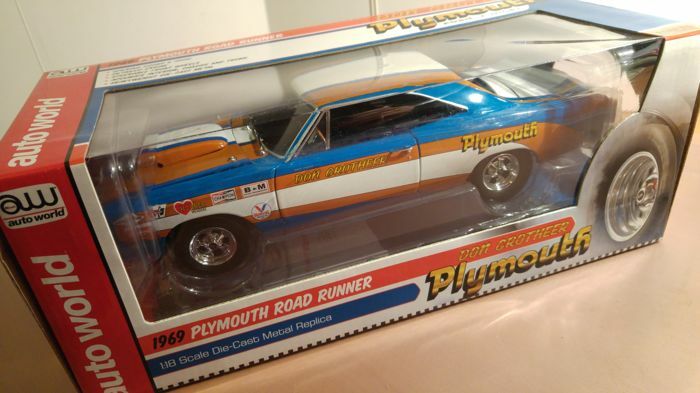 This magnificent Plymouth Road Runner, American at heart, is designed fabulously beautiful. 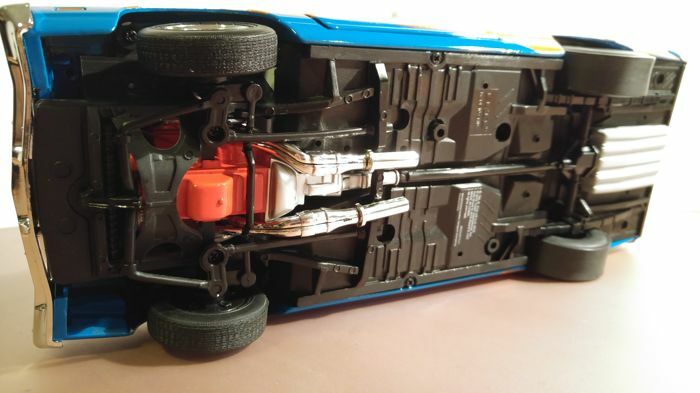 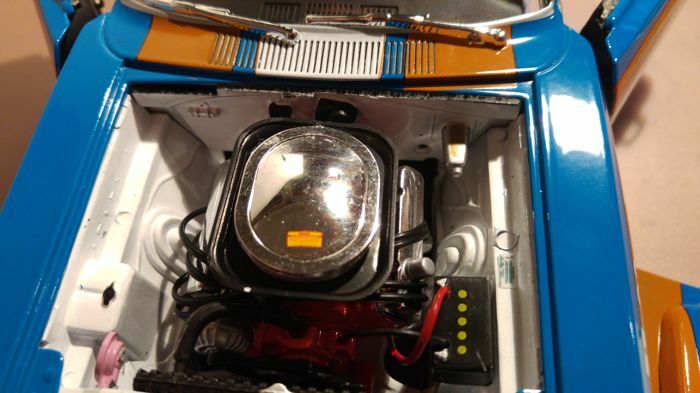 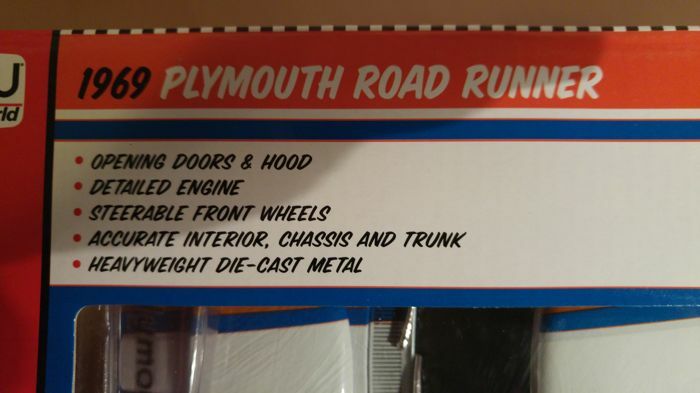 Ertl knows how to make their Scale models in Scale 1/18 Die-Cast Metal Replica into sought after objects. 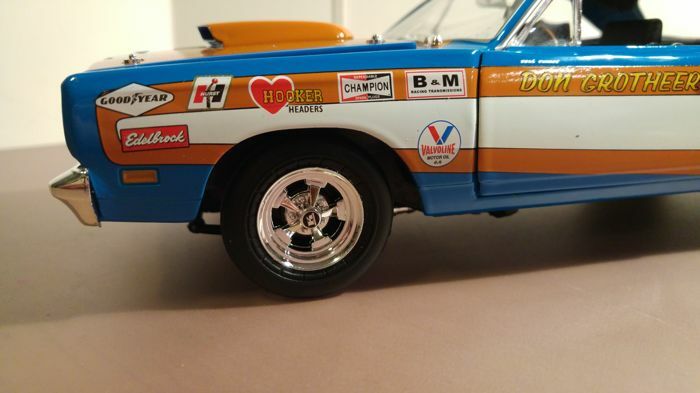 A delicious American driven by successful driver Don Grotheer who began his career in 1963. 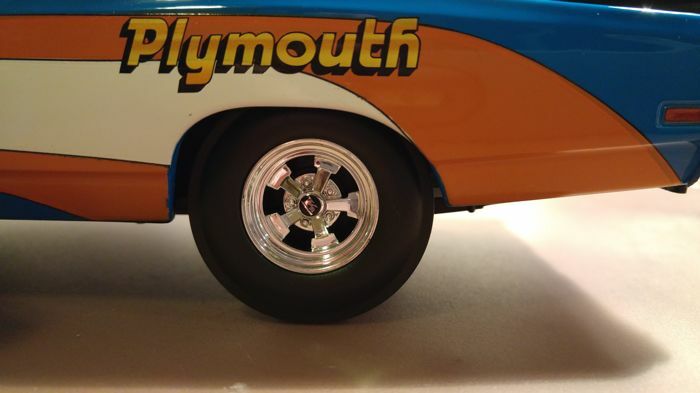 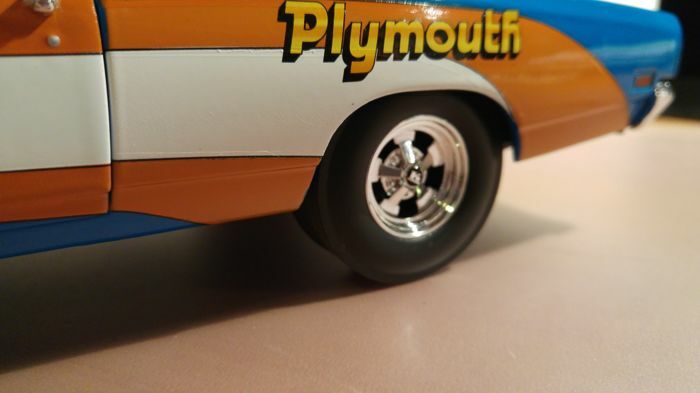 In 1966 he won the A/Stock class in the NHRA Winternational, while in 1969 he won the Super Stock Eliminator and the SS/BA record on the Winternationals with this Plymouth. 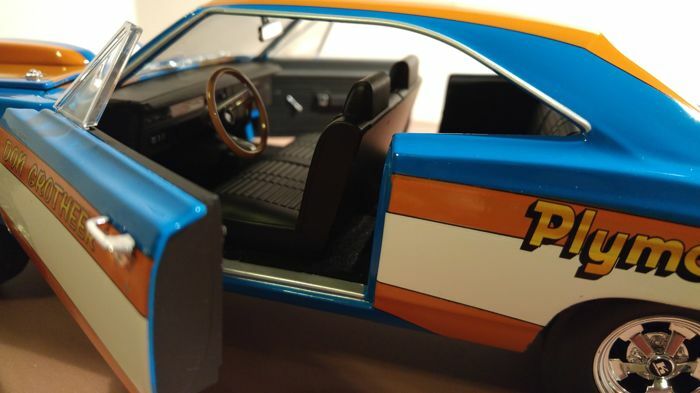 This sporty and stretched bolide like only the Yankees made it in the 1960s, actually too bad that it is a thing of the past. 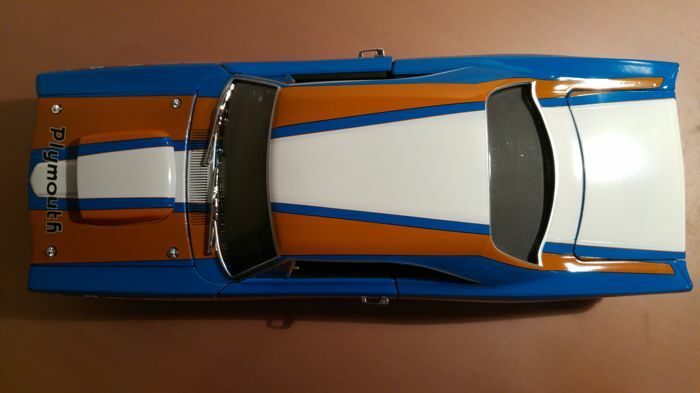 A mighty muscle-car with its extra large and wide rear wheels that is still very wanted and sought after. 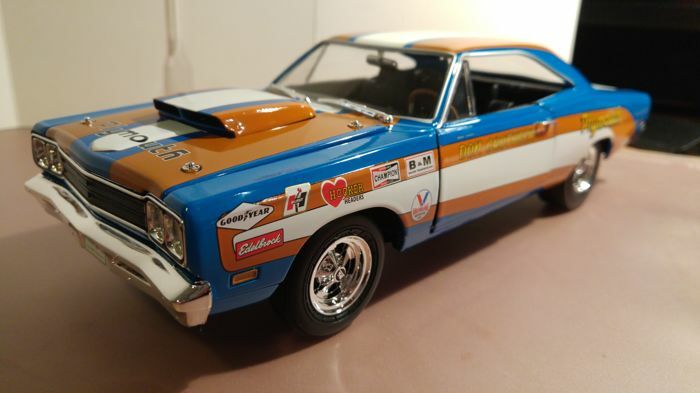 Now for sale, probably one of the last. 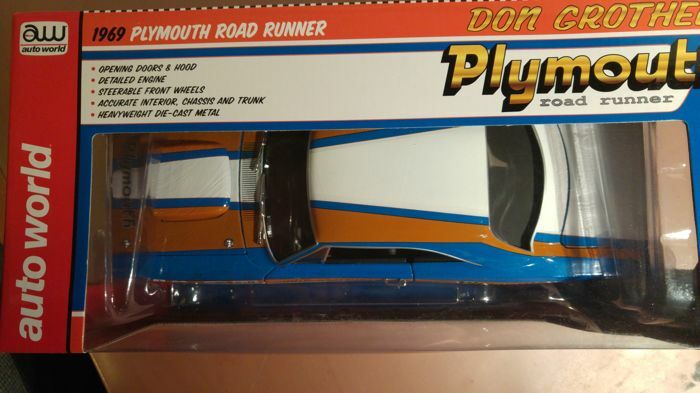 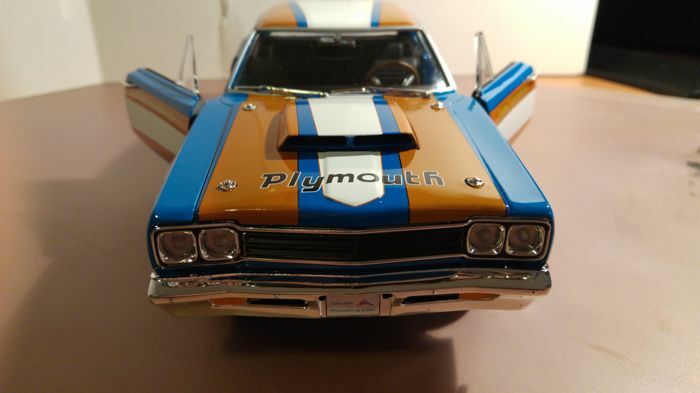 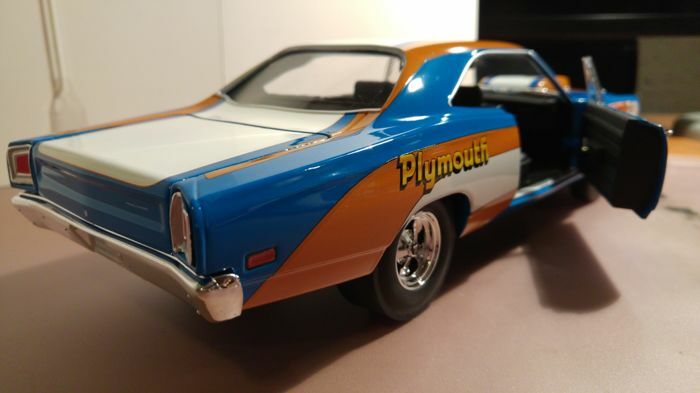 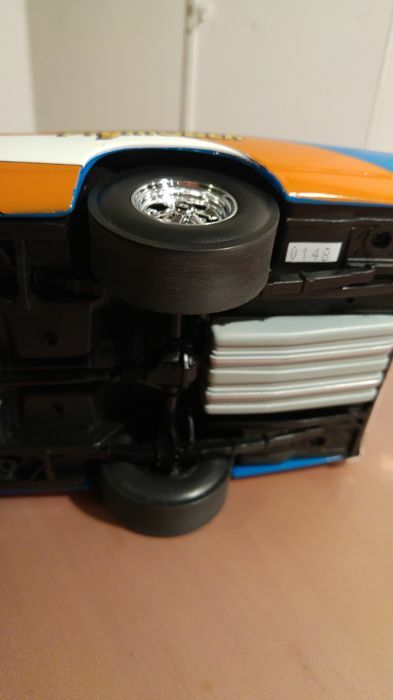 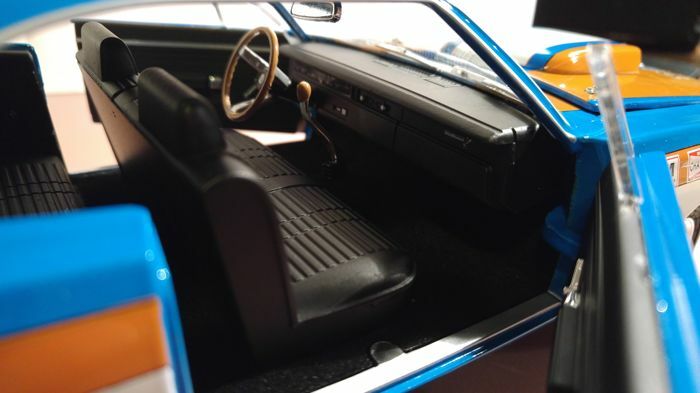 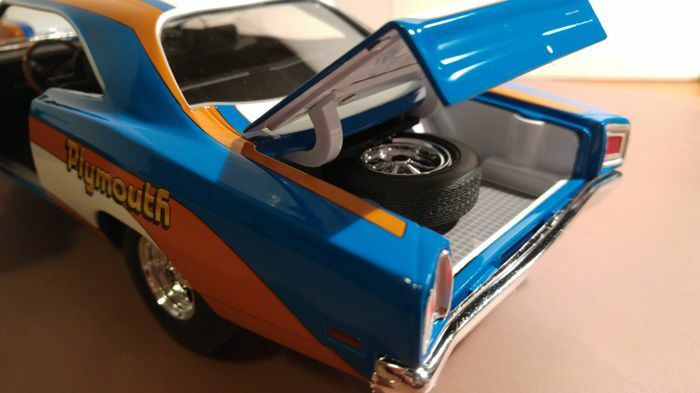 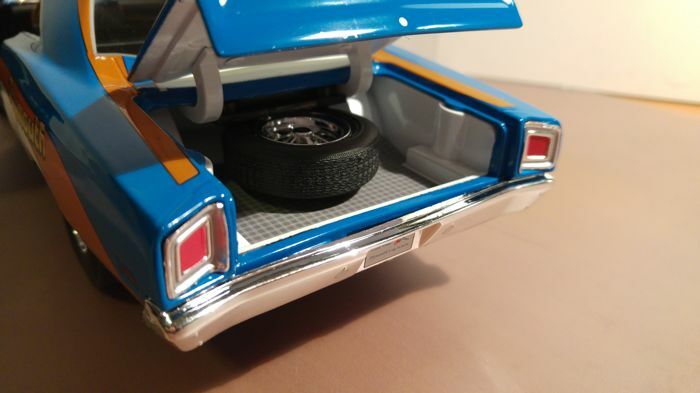 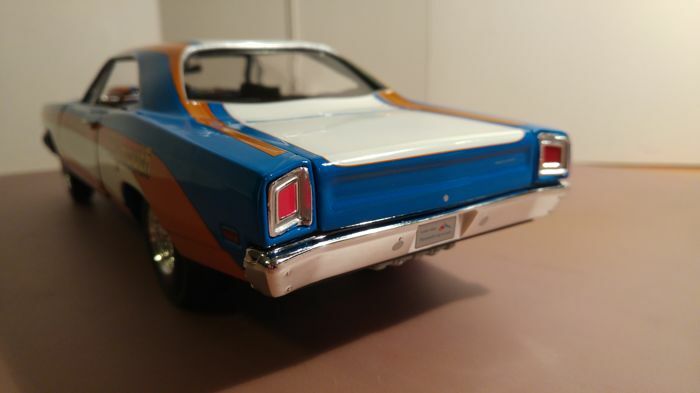 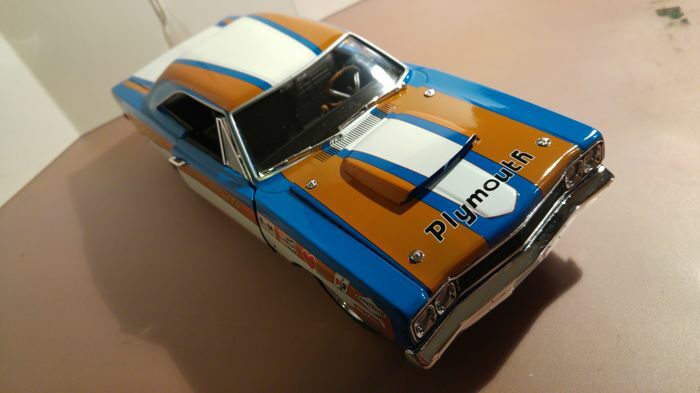 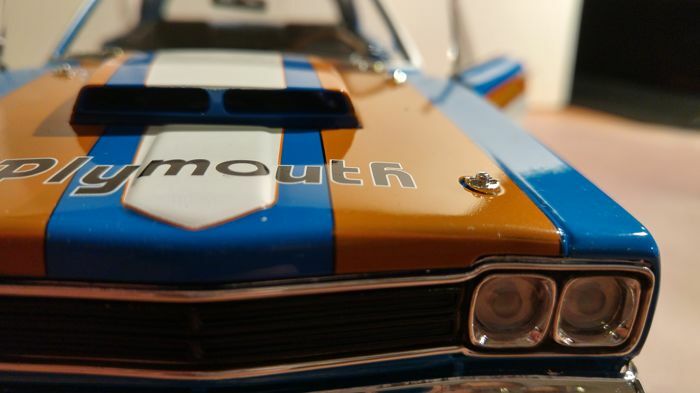 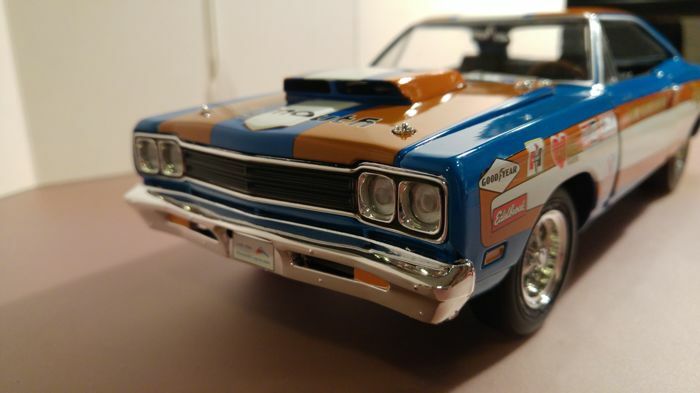 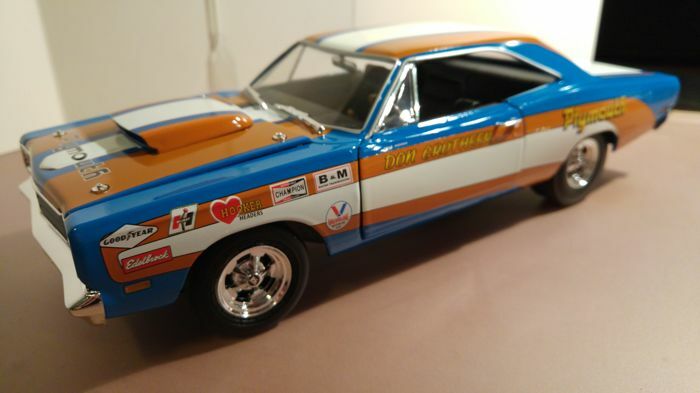 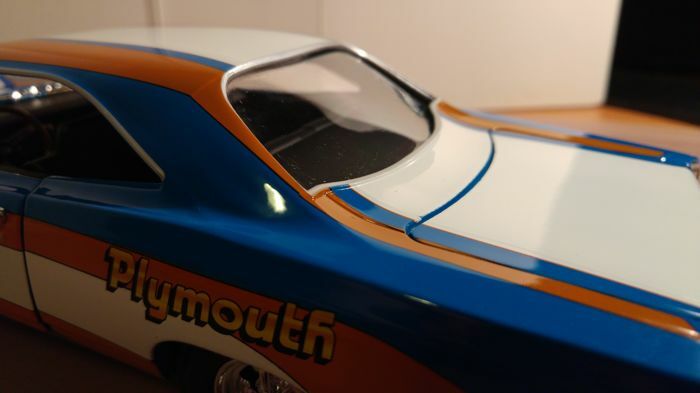 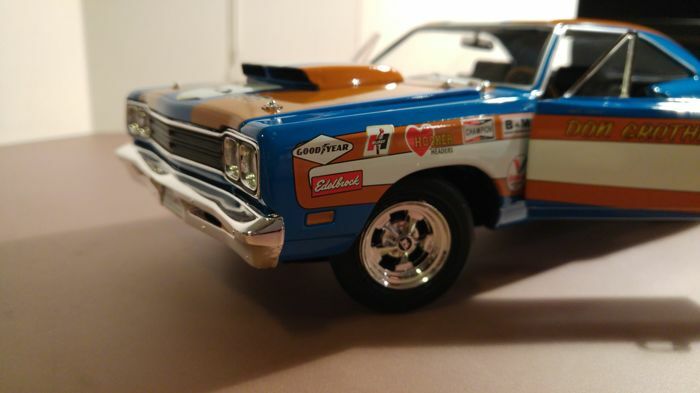 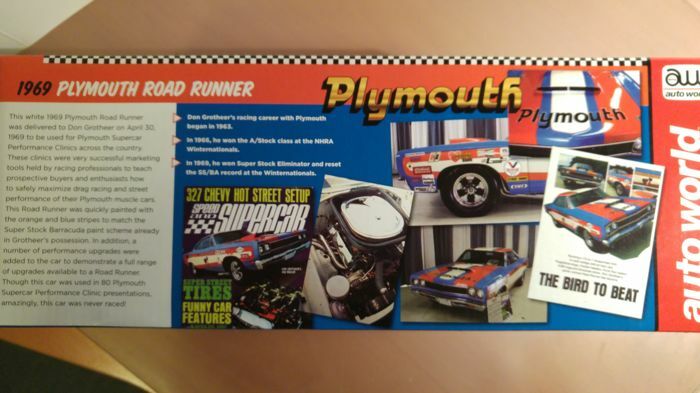 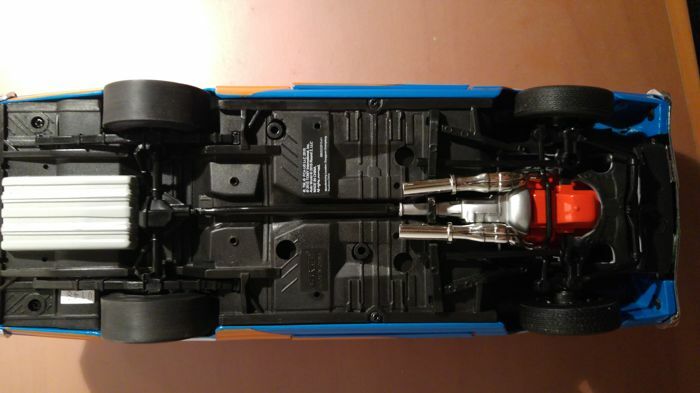 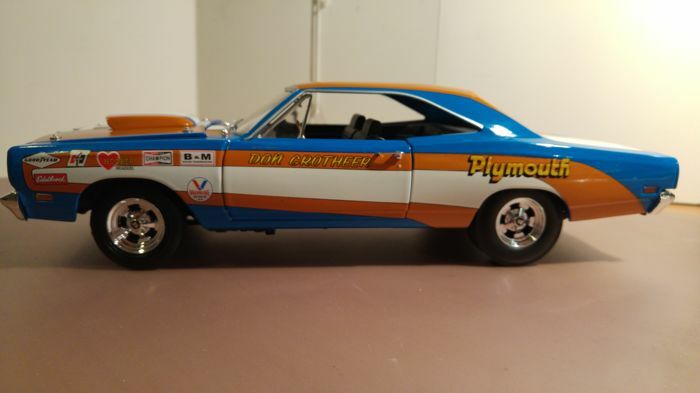 A fantastic representative in your collection as rue American Muscle car!